People in China can now be jailed for up to 3 years for disrespecting the country’s national anthem. A recent tightening of rules banned people from singing the national anthem at parties, weddings and funerals. The national anthem can also no longer be played as background music in public places and “inappropriate” private performances of the song are also forbidden. A law passed in September said citizens could be jailed for 15 days for disrespecting the national song, ‘The march of the volunteers’. But now “serious cases” of disrespect in public could result in up to three years in prison, according to Xinhua news agency. 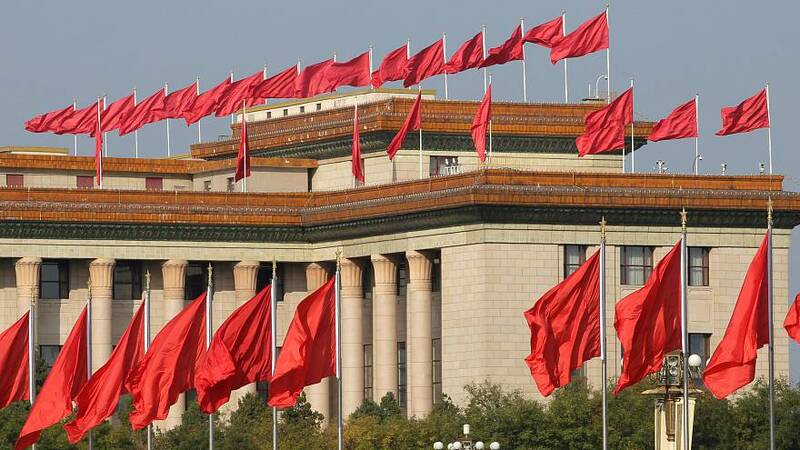 Changes to the law were approved during a National People’s Congress (NPC) meeting, state media reported. Hong Kong’s government said the law would also apply in the semi-autonomy region, where a pro-democracy movement has sparked tensions with China. For years Hong Kong football fans have booed the Chinese national anthem at matches as concerns grow about the city’s liberties coming under threat. One politician said once the law is passed in Hong Kong people will have to stand and show solidarity. Another Hong Kong deputy said on local radio that people in the city would have to stop whenever they heard the national anthem being played, even if they were walking. The military-themed ‘The march of the volunteers’ officially adopted as the national anthem in 1982 calls on Chinese people to ‘march on’ toward the establishment of a new nation. The latest laws come after an announcement in 2014 to “enhance the song’s role in cultivating core socialist values”. An ideological push has intensified with the coming to power of President Xi Jinping in 2012 who has stressed a drive to infuse every aspect of Chinese education with “patriotic spirit”. Jinping insists the move is to strengthen Communist Part of China, while critics condemn it as brainwashing.